My sister Jane is fabulous at transformation. One of the reasons she really wanted to have this store was to save the “Cinderella” bits – as she calls them – and to make them beautiful again. A great example is the pair of twig tables we bought for the store. They were in great shape but dirty and had very worn fabric-covered tops. The tables were first cleaned and then Jane chiseled off (really !) the worn fabric. She chose a lovely vintage barkcloth piece to complement the wood, added some vintage trim and…. voila! Twig table after cleaning and new vintage barkcloth top with vintage trim. 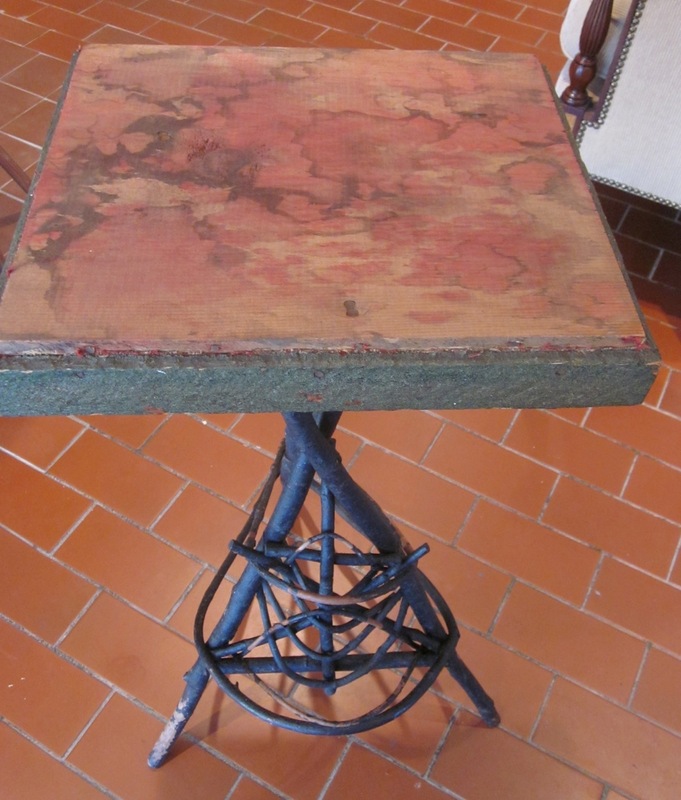 We have two of these and we paired them with fabulous chalk-ware lamps. 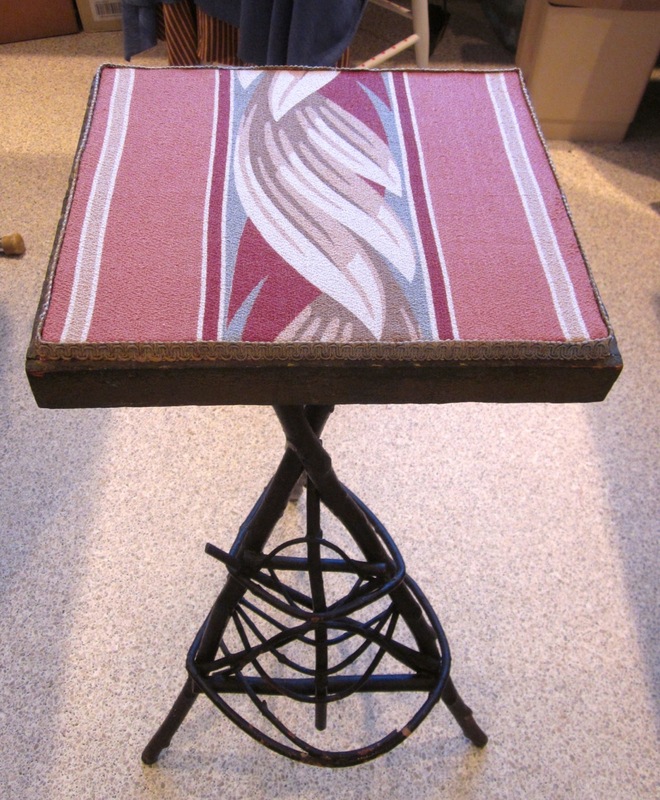 Pair of Mi’kmaq twig tables with “new” vintage barkcloth tops ($275 – pair). 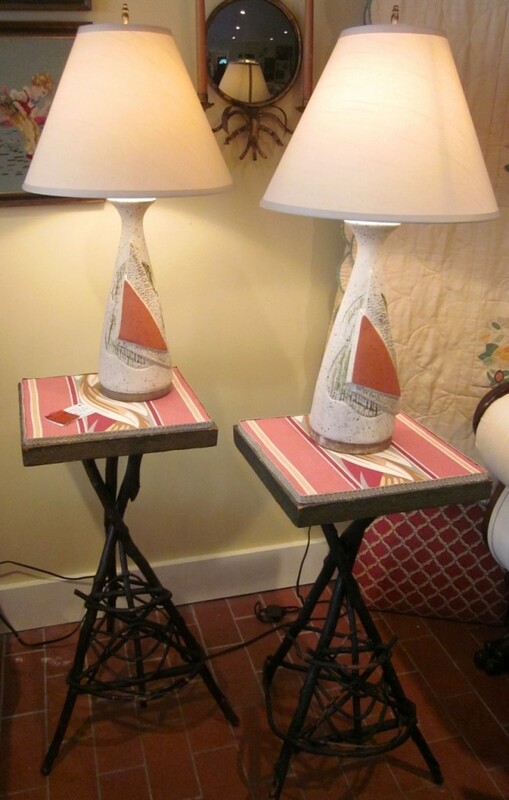 Lovely pair of vintage chalk ware lamps with new shades. Original wiring ($225 – pair).